OSWEGO – This summer, for the first time since 1928, the 2012 Lake Yacht Racing Association (LYRA) Annual Regatta will be held in Oswego. The event will be hosted by the Oswego Yacht Club July 30 through Aug. 5. The LYRA was founded in 1884, making it the oldest association of yacht clubs in the nation. 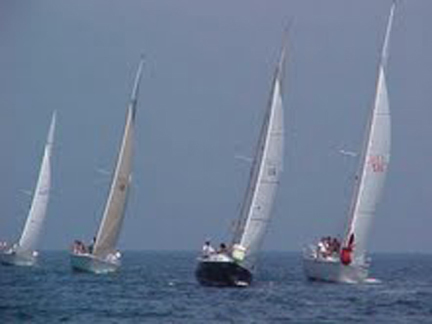 The group consists of 47 yacht clubs located around Lake Ontario, with Oswego being one of the founding clubs. The port city will host nearly 75 yachts from around Lake Ontario. The regatta is an annual event that features one week of intensive racing. This includes “feeder” races, which are designed to bring yachts to the regatta site, the overnight Freeman Race, and three days of “around-the-buoy” course racing. “With racers from both the U.S. and Canada, this is a great opportunity for sailors to compete as well as establish a strong camaraderie amongst each other,” said John Gary, chairman of the Oswego LYRA Organizing Committee. Tuesday, July 31, will initiate the first day of competition with races beginning in Rochester and Henderson Harbor. 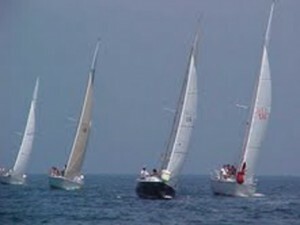 The Centennial Cup race, sponsored by SUNY Oswego, is hosted by the Rochester Yacht Club. Yachts from the west end of the lake will compete in a 45-nautical mile race that ends in Oswego. The other feeder race, the Founder’s Cup, is a 35-nautical mile race hosted by the Henderson Harbor Yacht Club. All racers from the eastern end of the lake will converge in Henderson and race to Oswego. Following the racing, participants will be treated to a barbecue and live music. Advance registration is required for these events. The Freeman Cup, an overnight 73-nautical mile event, is scheduled to start at 5 p.m. Wednesday. The race will take approximately 14 hours to complete. After a long night of racing, Thursday will be a day to relax and prepare racers for the three days of “course racing” that will take place Friday, Saturday and Sunday. “Thursday night participants are highly encouraged to have a ‘night on the town’ where they can wander through the Farmer’s Market, explore different shops, outdoor concerts, and also check out some of Oswego’s restaurants and bars for dinner while enjoying the incredible sunset,” said Gary. Spectators on shore will be able to watch the day-long course racing around the buoys off Oswego Harbor on Friday, Saturday and Sunday. A variety of food and entertainment are planned for Friday and Saturday evenings. Awards and presentations will be held Sunday evening. For more information on the LYRA event, contact John Gary at [email protected] or visit their website at www.lyra2012.com. For accommodations and visitor information, go to www.visitoswegocounty.com or contact the Oswego County Tourism Office at 315-349-8322.